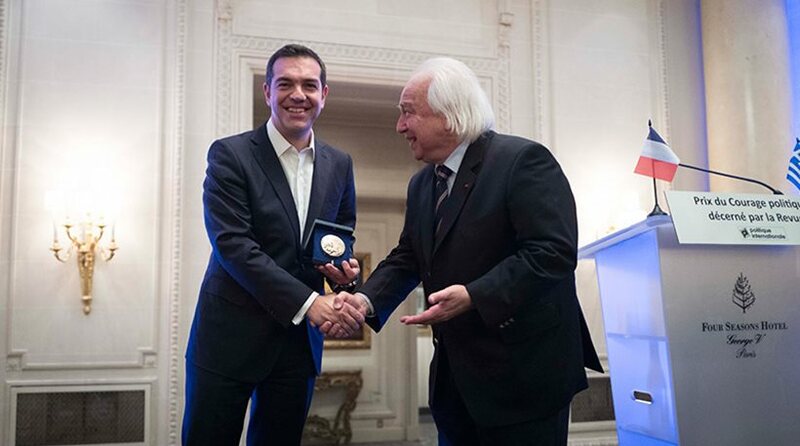 PM Tsipras receives Awards for "Political Courage" and "European Commitment"
Prime Minister Alexis Tsipras will be awarded for his courage to keep Greece in the euro, Patrick Wajsman, the founder and director of the quarterly French political affairs magazine Politique Internationale, told the Athens-Macedonian News Agency (ANA) on Wednesday. 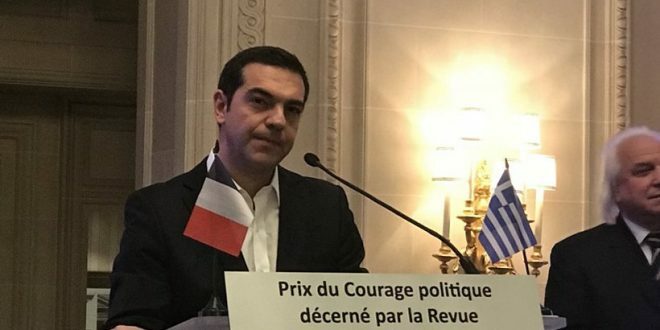 During his visit to Paris, Tsipras will receive the “Prix du Courage politique” from the magazine and the “Prix de l’ Engagement Europeen” from the Paris Bar Association during two separate events. 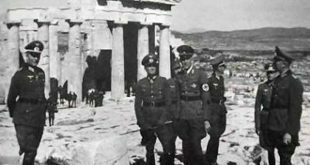 “He had the courage to make decisions in favour of Greece and Europe, he is a man of convictions and bravery,” he told ANA. 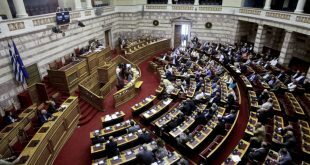 “Real leaders are people who are capable of understanding the meaning of history and putting their personal inclinations in second place when needed, as did Alexis Tsipras,” he added. a tiny award for a great courage? Nope. Here is the real one. The ceremony for the “European Commitment Award is scheduled for Thursday afternoon. 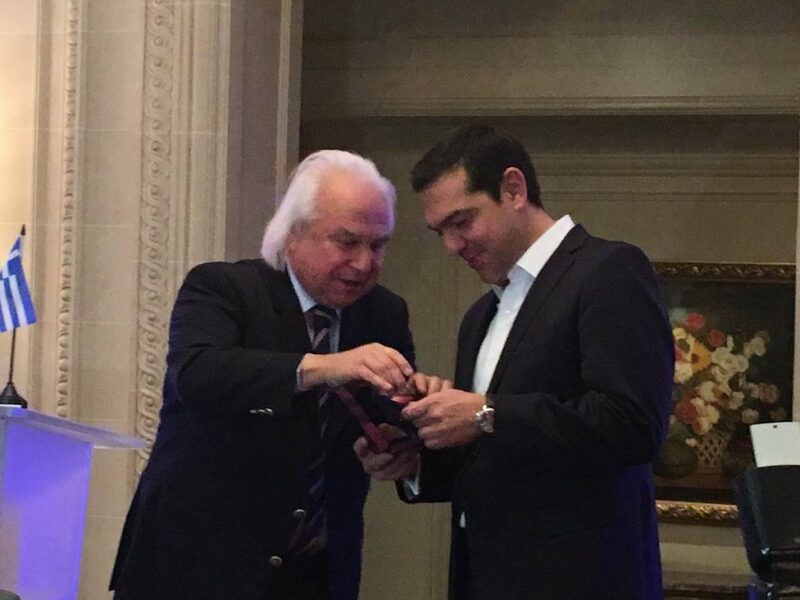 While in Paris, Tsipras will also meet with French business people who are interested in investing in Greece. Alexis Tsipras will meet President Emmanual Macron on Friday. PS They got it all wrong. Tsipras found political courage in messing up with his own left-wing voters. More like lack of preparation for the vote in 2015 and “subordination” to the EU in Brussels, not commitment. 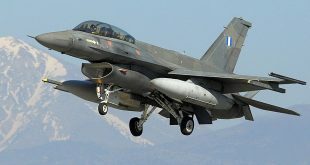 As if the EU had Greece’s well being in mind! What a joke. Political courage = referendum result: Oxi. You do the opposite. Just for example. 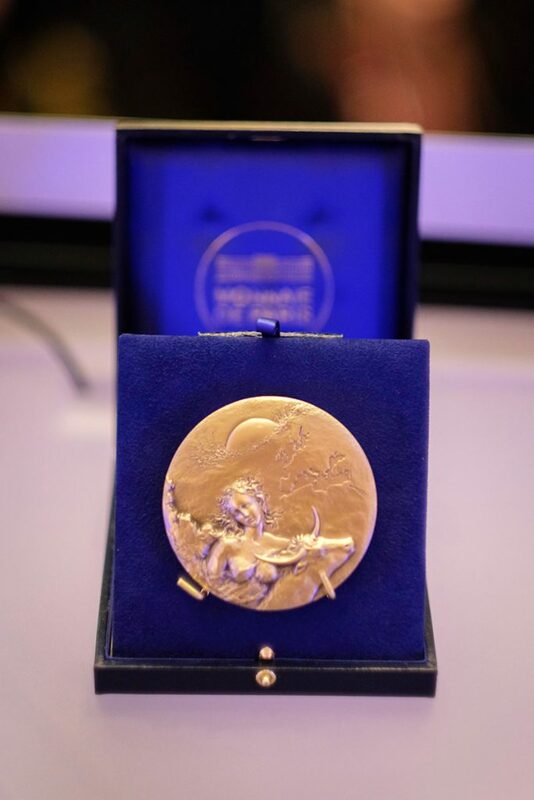 It bears comparison with all the awards that Jeffrey Papandreou has been collecting for his alleged “political leadership” and visionary courage in “saving” Greece. Most people (including myself) consider Tsipras’s behaviour to indicate a lack of courage, a fear of taking a risky path, and pure self-interest in not wanting to lose his political career, merely to protect Greece’s interests and the interest of ordinary Greeks. It’s not only fake news that we have to contend with, it is also continuous organised political propaganda from those in power — and their close friends, bankers and wealthy businesspeople.